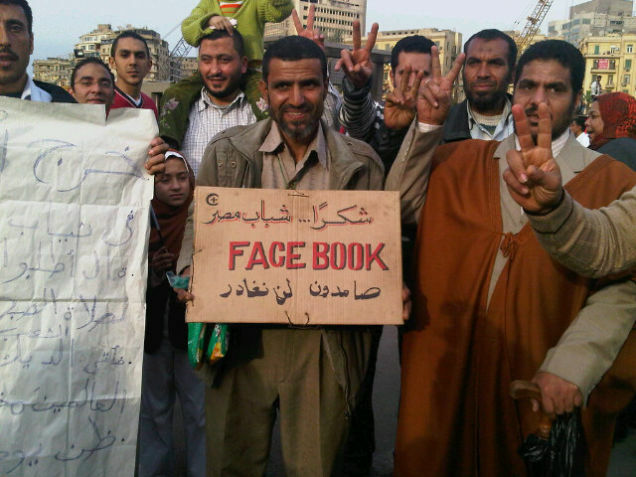 An image making the rounds features an Egyptian protester carrying a sign that reads "Thank you Facebook" in Arabic. Thanks for what? Facebook has done as little as possible to help Egypt's protesters. It should do more. Facebook's new slogan should be "Facebook Revolution." The amount of positive press generated by Egypt's uprising for the site could only be greater if Mark Zuckerberg had parachuted in and started beating back riot police himself. As it is, though, no one should be thanking Facebook. Facebook's activism-squashing policies were just another obstacle protesters had to overcome. Everybody's talking about the massive Facebook groups that helped spark the uprising, but few remember the headaches Facebook has given these groups. Just four months ago, for example, one of the most popular Egyptian Facebook protest groups, We Are All Khaled Said, was deactivated abruptly because its administrators had registered their accounts under pseudonyms to protect themselves from the Mubarak regime. After much (virtual) protest, the 300,000-member group was reinstated, and its young members helped form the vanguard of the current uprising. In many ways, Facebook has made itself actively hostile to those who would organize against a repressive regime or advance an unpopular idea. Most problematic is the policy that bans pseudonyms. Facebook defends the policy by saying their service is about "real people making real-world connections." But what if the real world is full of secret police looking to crack down on dissent, or snooping bosses who might be supportive of a regime? Harvard Internet freedom expert Jillian C York calls the real identity policy "ludicrously out of touch." And Facebook's notoriously wonky account deactivation system means that activists can find themselves deleted from the site at crucial moments, with little recourse. 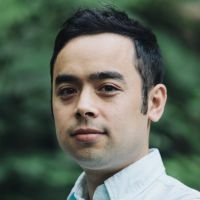 In 2007, Facebook permanently deactivated the account of the administrator of another important protest group, The April 6 Youth Movement, because its automatic filter thought he was a spammer; he was actually just furiously organizing protests with other members. Many other activists have been muzzled by Facebook's deactivation system, simply for voicing controversial opinions. It's not just Facebook's policies. In the days since the uprising began in the real world, the company has taken a public position so neutral it borders on cowardly. A tepid statement was all they could muster when Mubarak's regime took Egypt offline: "Although the turmoil in Egypt is a matter for the Egyptian people and their government to resolve, limiting internet access for millions of people is a matter of concern for the global community." Meanwhile, Twitter forcefully spoke out in support of the use of its service to "facilitate change in a repressed country." And Google joined forces with Twitter to launch a service that allowed Egyptians cut off from the Internet to post to Twitter via their cellphones—a powerful rebuke to Mubarak's censorship. This would also help counter a growing criticism of Facebook, which is that it is tailored too much to a certain demographic: The well-off Mark Zuckerbergs of the world. It's partly what Zadie Smith lamented when she called Facebook "a cruel portrait of us: 500 million sentient people entrapped in the recent careless thoughts of a Harvard sophomore." After Egypt, building a super fun place for 500 million people to share party pics and play games doesn't seem that cool any more.